Bandannas are my jam. 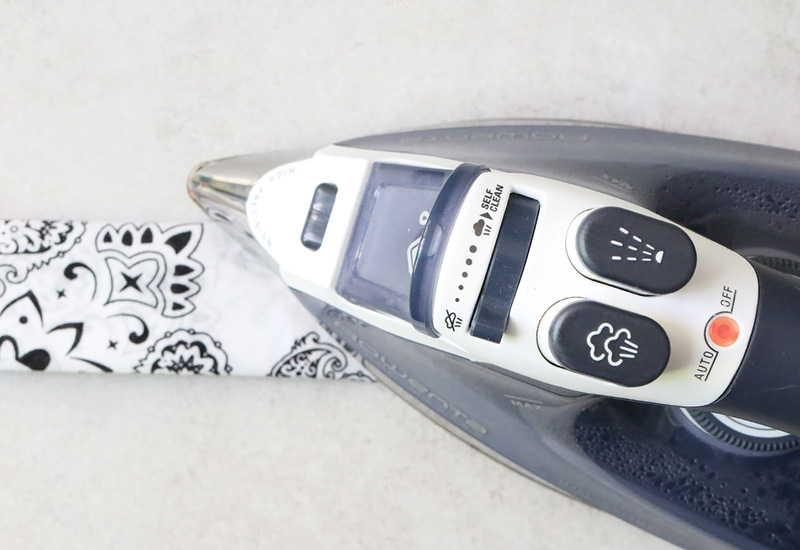 There’s something so classic about that paisley print. (In fact, the hoodie I’m wearing right now has a bandanna back patch.) 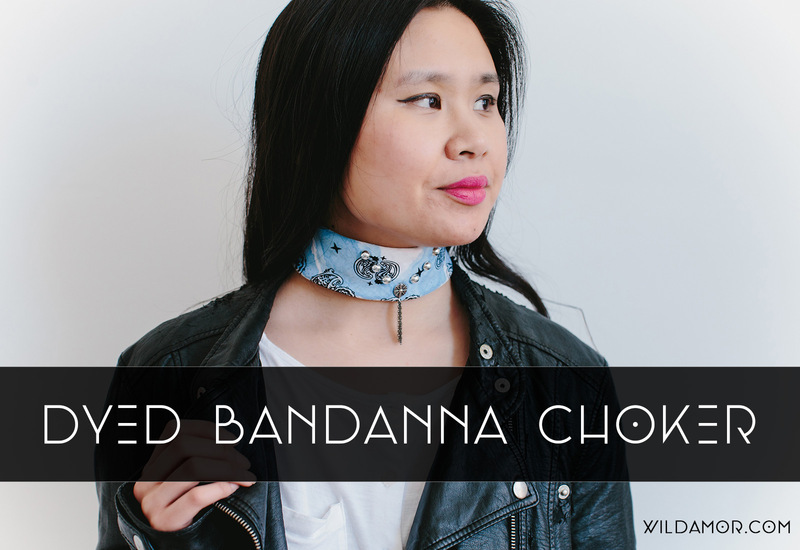 From bandanna scrap earrings to a bandanna scrap choker, I’ve been all about re-purposing this quintessential accessory. So, when I spotted these bandanna necklaces at Dannijo, I knew I had to make my own version. The dyed blue hues were also a must! Obviously, go ahead and use any color dye or paint that fits your style. Here’s how to make it yourself. 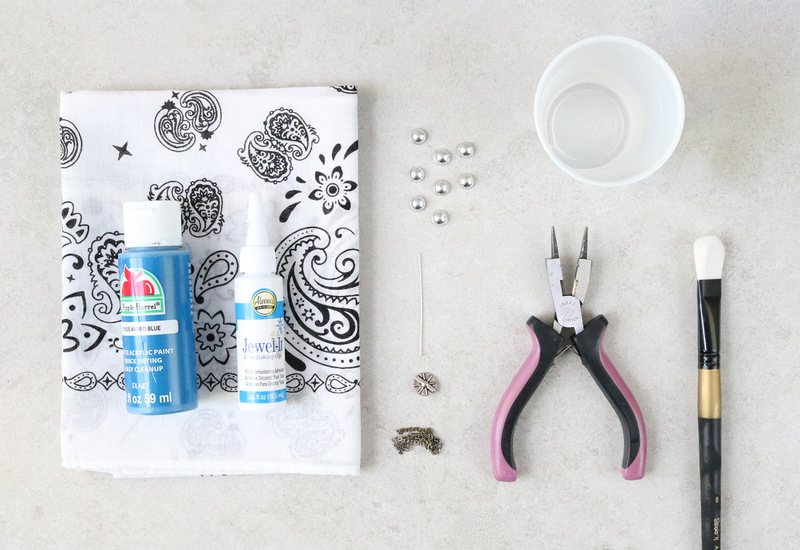 * You can use acrylic paint, fabric paint, or normal fabric dye (powder or liquid). I like to dilute paint with water because you can get a really saturated color. Use whatever you have on hand! ** These were found in the scrap book section. 1. 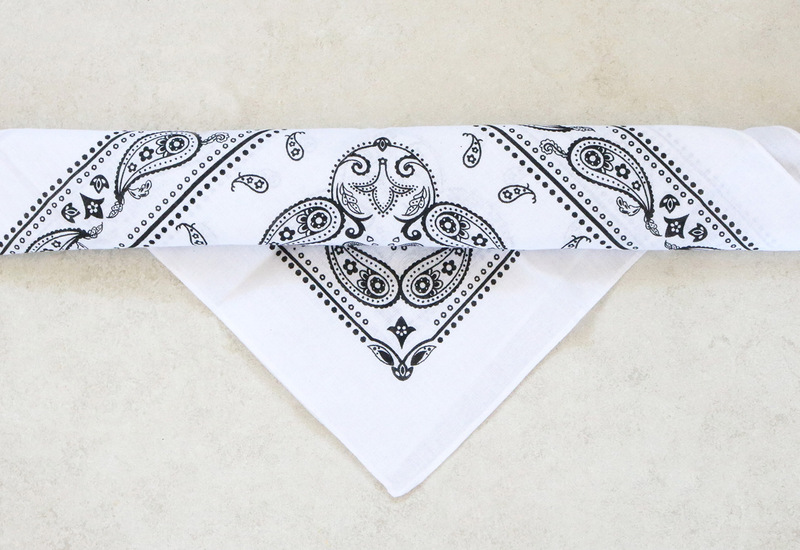 Fold the bandanna in half, corner to corner. Fold the straight edge several times to create a thick band. 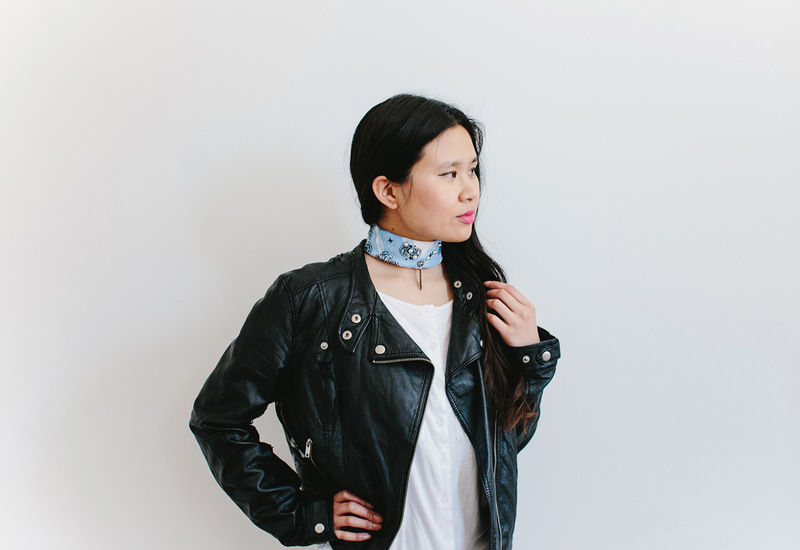 Keep in mind that this will basically be the width of your choker. 2. If you’d like, apply an iron to press the fabric in place. 3. 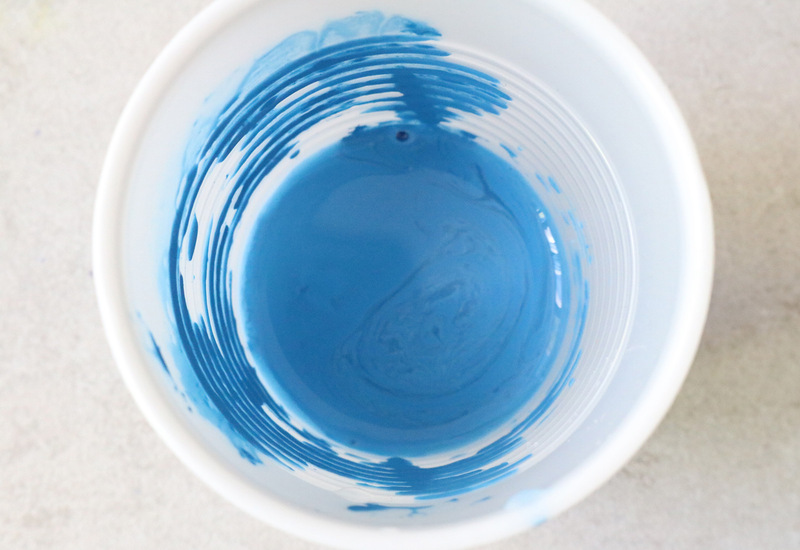 Dilute acrylic paint with water until you achieve the shade you’d like. 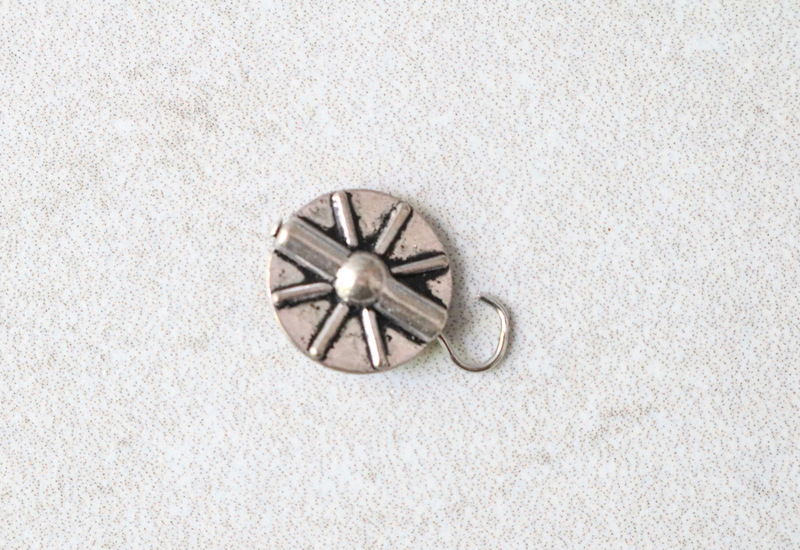 Don’t be afraid to play around with this part; you can also test it out on some scrap fabric. 4. 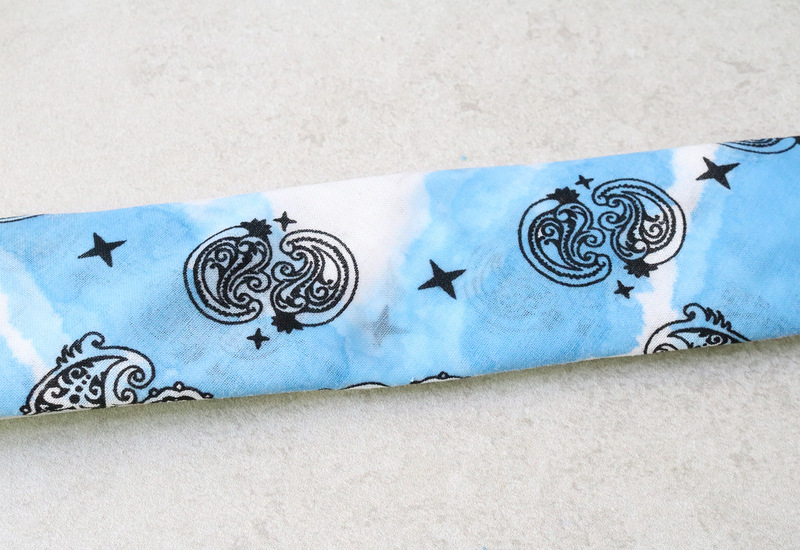 Using the paintbrush, apply paint/dye to the bandanna. Set aside to dry. 5. 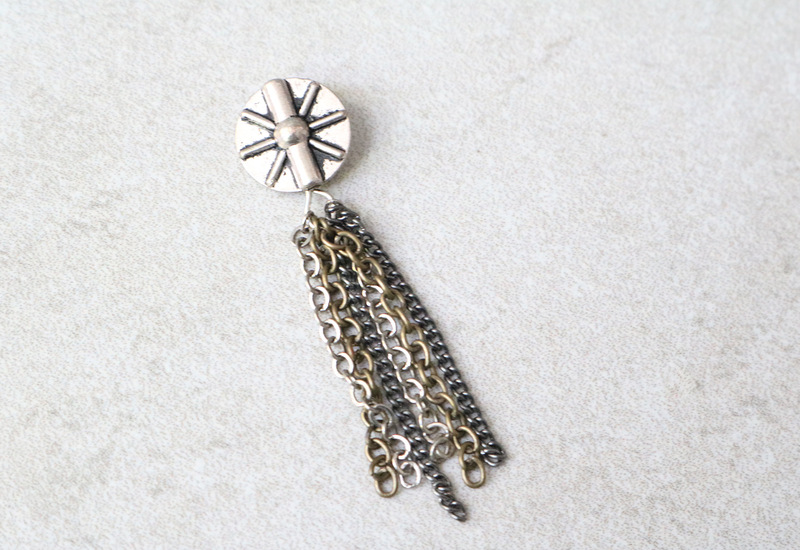 Add a silver bead to the head pin. 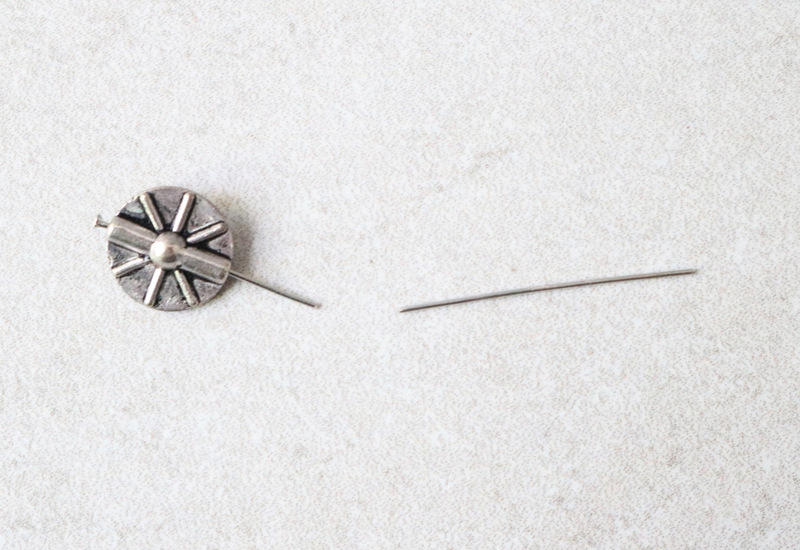 Using the cutting portion of the pliers, cut the head pin 3/4 inch above the bead. 6. Using the pliers, create a loop. Don’t close it just yet. 7. Add scraps of chain. Bend the loop close. 8. 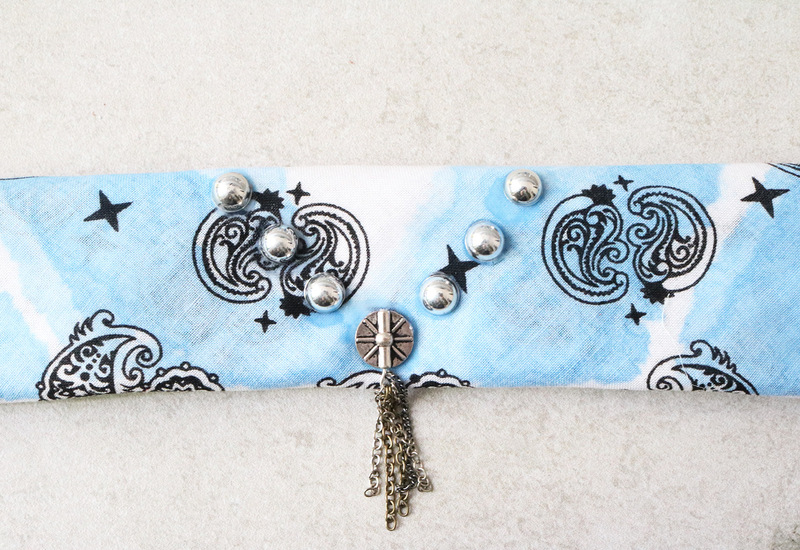 When the bandanna has dried, glue the flat back studs and the bead-turned-tassel. I positioned the studs in a slanted triangle shape, but you can place them where you please. Once everything is dry, just tie the fabric around your neck. 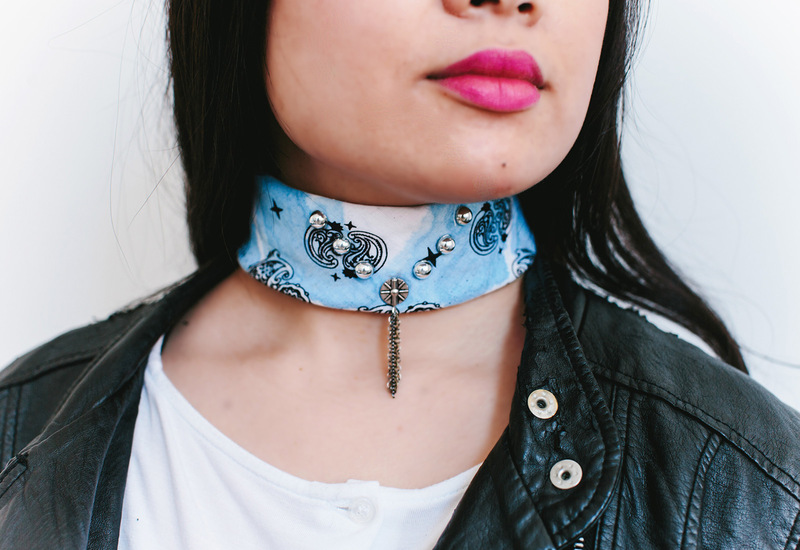 Part scarf, part necklace. I’m into it.